Another photo from the same contest as below. Jock Sutherland and Miki Dora. We originally thought these were from the first Duke contest but the photographer, Tim McCullough straightened us out. We need that every so often. 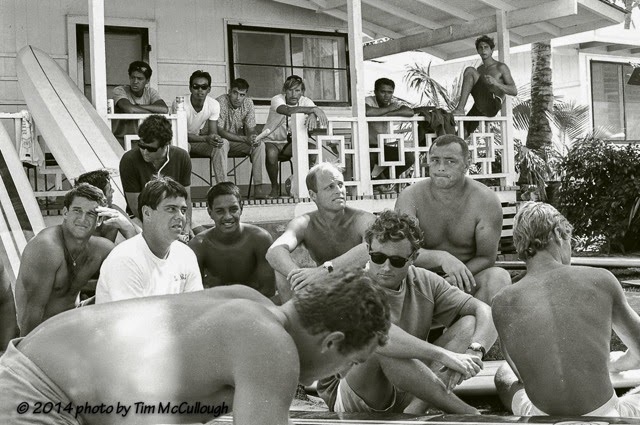 The Duke Kahanamoku Invitational Surfing Championship was named in honor of the "Father of Modern Surfing", Duke Paoa Kahanamoku. 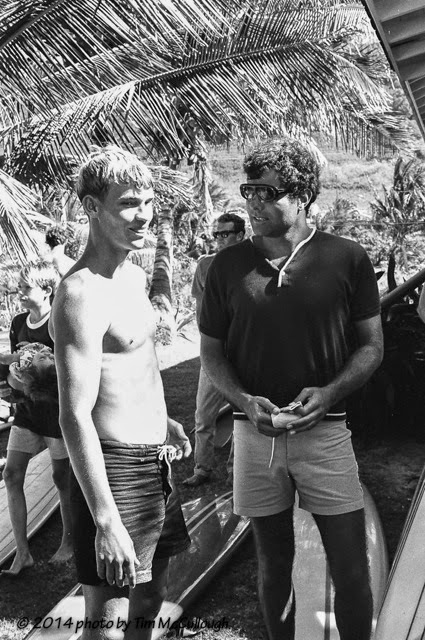 The contest began in 1965 by invitation only, at Sunset Beach on the North Shore of Oʻahu and was the first surfing event to be broadcast on a regular basis by ABC's Wide World of Sports.